Those who spent any time watching local news, early morning, or daytime television in the early 2000s may remember advertisements on a certain food vacuum bag that’ll seal in the freshness so you can keep produce in the fridge longer without risking spoilage. Although these types of appliances are now common in today’s market, you don’t often find them in many people’s kitchens. First of all, they’re loud. Some versions of these food sealers also require food to be contained in bags, and the overall machine look and feel is just plain unattractive. This is where VacuVita aims to marry design and functionality. Blasting through three times the initial Indiegogo goal of $75,000, VacuVita is a vacuum food saver system that looks elegant, prolongs your food’s shelf life, and doesn’t require plastic bags. The main VacuVita device looks like a futuristic picnic basket, allowing users two gallons of space to toss in whatever kind of food – bread, vegetables, fruits, meat, to name a few – and touch one button to seal it close. All the vacuuming is done in the VacuVita’s lid so you can touch the food as minimally as possible, preserving it like it’s fresh from the store. 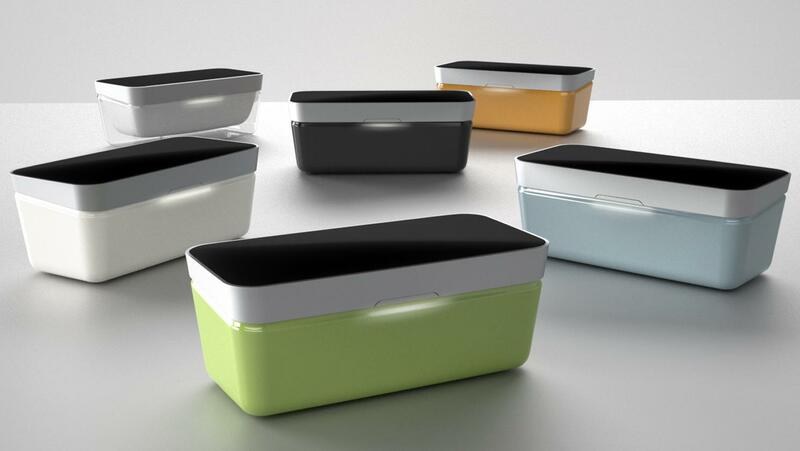 While one two-gallon container might be enough for some, larger families can also use the Covero mini containers to separate and store different types of foods. The Covero containers will need a hose to attach to the VacuVita’s lid and vacuum the air out, but the different color boxes will be good to help organize produce type. The company also says Covero can help expedite meat marinating process by sucking the air out and letting juices seep in quicker, so you don’t have to leave things soaking overnight. That’s good news for the procrastinators or forgetful. Although the VacuVita is corded, the machine is designed to work with both U.S. and European outlets. The best part of all this isn’t just the VacuVita’s utility, it’s how the thing looks. 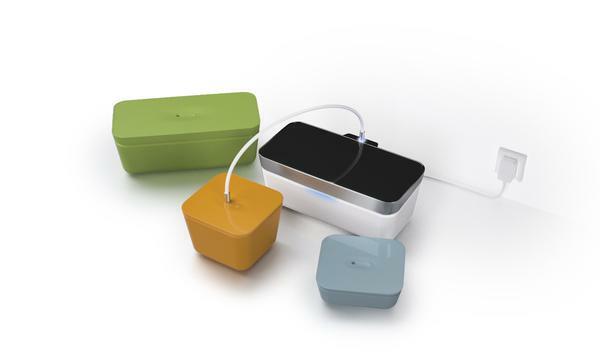 The box comes in five cool colors, and the added touch of LED lighting makes it hip and modern. There’s not much time left to pledge for the VacuVita, so if you want to get in on the action, you can do so at the project’s Indiegogo site and fund $99 for a full system plus one Covero box. The item is expected to ship by September of this year.